This coming weekend, more than 100 companies from across various business sectors will gather for the Entrepreneur and Franchise Expo 2014. 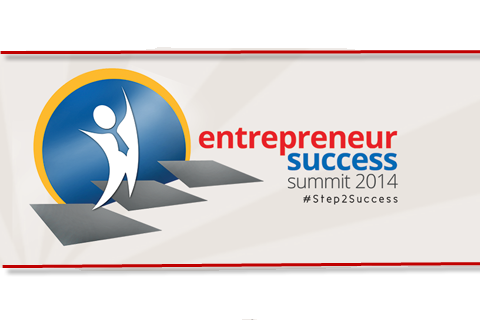 Highlight of the event will be the Entrepreneur Success Summit 2014. The Entrepreneur and Franchise Expo 2014 with the tagline, “Your Step to Success!”, is set to be held on June 27-29, 2014 at the Megatrade Hall, 5th Floor, Mega B Building, SM Megamall, Mandaluyong City. Empowering over 100 small and medium enterprises (SMEs) from various business sectors, the 3-day event will feature innovative and fast growing businesses (food, education, retailing, real estate, travel, automobiles, logistics, agriculture, manufacturing, technology, and financing). There will also be seminars on how to build a successful business, covering topics from funding and hiring, to finding the perfect business for you and making it the perfect market place for aspiring entrepreneurs and future franchises. “Over 99% of registered businesses in the Philippines are MSMEs (micro, small, and medium enterprises) according to the DTI (Department of Trade and Industry), but combined, they only contribute 30% of the National GDP. With the ASEAN integration happening in 2015 with new competition coming in, our vision as the expo organizer is to strengthen local businesses and provide a platform for them to showcase their innovative products and services. We also provide assistance for business owners and executives to network amongst other professionals and stakeholders in order to open opportunities for aspiring entrepreneurs to start their own business and for local businesses to grow regional,” says Mediacom Solutions Inc president and Entrepreneur and Franchise Expo founder and managing director David Abrenilla. The Entrepreneur and Franchise Expo 2014 is supported by the Young Entrepreneurs Society Philippines and the Filipino International Franchise Association (FIFA), lead by multi-awarded franchise developer Mr. Rudolf Kotik, who will share his insights on how to build and grow a successful franchise business on Sunday, June 29 from 3 p.m.-5 p.m. Highlight of the event is the Entrepreneur Success Summit (ESS) 2014, to be held on Saturday, June 28, 2014 at the Megatrade Function Room, 5th floor, Building B, from 1 p.m.–7 p.m. ESS is a comprehensive series of talks by 20 entrepreneurs and business innovators who will share their time and secrets to success to empower business owners, professionals, and aspiring entrepreneurs in starting and growing their businesses and ideas. The summit will feature five discussion topics: Building a Successful Startup Business, Money Mind 101, Passion4Fashion Entrepreneurship, Building a Food Empire, and New Media Marketing. Among the roster of speakers are award winning brand architect, risk/crises/reputation strategist, marketing and communications innovator, and founding director of GeiserMaclang Marketing Communications, Amor Maclang; multimedia entrepreneur, co-founder and managing director of Flippish.com, Chris Tan; managing director of MetroDeal, Ralph Manalo Wunsch; SME advocate, Ernst and Young Entrepreneur of the Year 2013 finalist, and chairman & CEO of Esquire Financing, Rajan Uttamchandani; educational entrepreneur, ANC’s On The Money host, and president of The Masters Academy Homeschool, Edric Mendoza; tech-entrepreneur and CEO of TwitMusic.com, Stefano Fazzini; e-commerce advocate and DigitalFilipino.com Founder, Janette Toral; tech-entrepreneur and regional director of Freelancer.com, Jojy Azurin; international networking entrepreneur and co-founder of the Freight Summit, Nils Walle; design strategist, branding expert, and co-founder of KKK Coffee, Bryan Tenorio; fashion blogger and stylist Patricia Prieto; radio personality, model, and fashion entrepreneur, co-founder of SisterSecrets.com, Karen Bordador; food entrepreneur and Mercato Market co-founder, RJ Ledesma; Mercato Market co-founder and founder of OurAwesomePlant.com, Anton Diaz; Draft GastroPub co-founder, Mitch Malli; Mandaluyong City councilor and co-founder of SisterSecrets.com, Charisse Abalos, and many more. Exhibiting companies include BN Whitening Shoppe, E-Concept Business Consultancy, Murang Generics Pharmacy, Living Station, UniOil, Esquire Financing, Giordano, and Regus. Register at www.efe.ph to get a FREE Priority Access Pass to the summit.